who love a thrilling adventure story. This a unique twist and keeps you very submerged in the story and has enjoyable characters and a great fantasy world. I definitely recommend this. It is an engrossing visit to a magical world. This novel is perfect for the young fantasy lover with a host of fantastical creatures, lands, and three adventurous youngsters who discover a secret that leads them on an unforgettable voyage into a dimension or realm ruled by magic. The story begins with the end of a school year and three best friends: Henry, Freddie, and Bonnie. 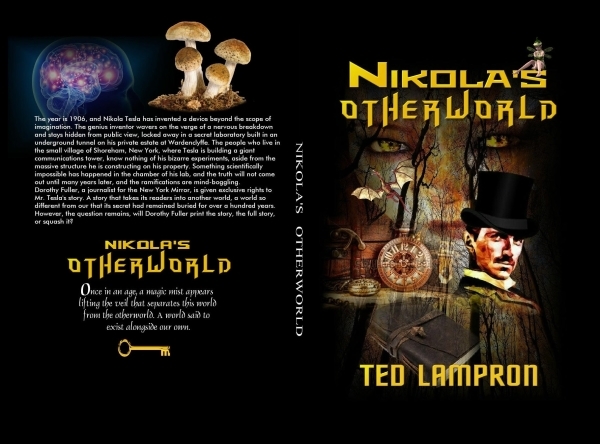 When helping to clean up the Wardenclyffe estate, they discover a tunnel leading to Tesla's secret lab filled with oddities, complex machinery, and a journal. When they decide to explore, their lives (and reality) change in the blink of an eye. 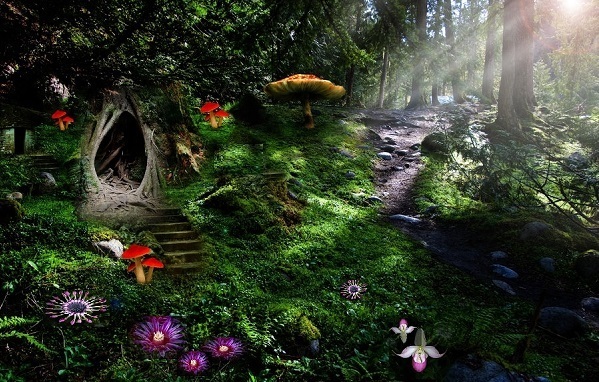 Ted Lampron has the power to transform the reader's perception of reality, thus offering them a different kind of world, a world where everything is magical and, as our characters in the story find out, a world with a completely different set of rules and dangers lurking behind every dark corner. I think the overall idea and the successful use of historical facts is quite entertaining and well written. Skillful use of wordplay and real-life historical facts to connect the overall themes in the book make this world a more imaginative place than one would expect. It invites the reader to join Henry, Freddie, and Bonnie on their quest of exploring new, extraordinary places and creatures. A rather extraordinary read. Not normally the type of book I would read, but the prequel sucked me right in, and I had to read more. So glad I did. I hope the author continues with the series. Thirteen-year-old, Bonnie wants to go to the beach during her first week of school vacation, but her two friends, Henry, and Freddie have other ideas. They want to explore an underground tunnel found on the abandoned estate of a famous scientist. Bonnie doesn't want to be left out, so she tags along. The tunnel leads them to a secret laboratory over a hundred years old. 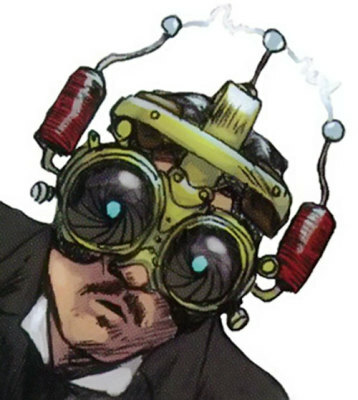 Once inside the dark, gloomy lab, they find a unique device called A.R.M., (Alternate Reality Machine), a time-travel mechanism invented by the well-known scientist when he was alive back in 1906. The three youths are consumed with curiosity, and instead of alerting adults to what they've uncovered, they decide to see how the apparatus works. After reading a journal left by the inventor, the kids activate the machine, and without realizing what they have done, A.R.M. projects them into another dimension of time and space. The kids end up in a land known as the 'Realm of Eternal Magic,' a supernatural realm where legends, folklore, and myths exist. A world that few humans have ever seen. The Realm is an ageless kingdom caught in the era of middle-ages, a time of witchcraft, sorcery, and wizardry. Lost in a hostile land filled with magic, the kids quickly realize that modern conveniences such as electricity, cell phones, computers, and television don't exist, leaving them with no way of finding their way back home. Bonnie and her friends are trapped in a world unlike their own; a mystical land where dragons are commonplace, and outsiders are not welcomed. Their only chance of survival depends on the fellowship of deviant strangers and the goodwill of peasants. The three youths learn of an eccentric hermit, who might be able to help them return home, but first, they must find him. The kids set out on a long journey to the Alset Mountains in search of the mysterious recluse known as Master Almac. But danger awaits them at every turn, and their trek takes them into a dark forest, and the forbidden zone, a domain ruled by a wicked sorceress. In their quest for help, they must overcome deadly creatures, evil beings, and escape the cold clutches of the undead. Their journey is long and perilous, and the outcome unsure. Hope and friendship are their only weapons, and home is rapidly becoming a painful memory of a lost world...their world...somewhere in another dimension. Beyond the Western Seas, through the magic mist before the horizon, and past the ghostly image of a Fata Morgana, lies an expanse of water that ancient mariners called the Forgotten Sea. In the middle of this vast body of water is an island called the Realm of Eternal Magic. The Forgotten Sea is a vast body of blue water sparkling under a clear azure sky and known only by the seafarer who has navigated his ship beyond the magic mist and returned to tell his story. In ancient mythology, the Island has been described as a supernatural realm of everlasting youth, beauty, and riches. It is said to exist alongside our world, intrinsic to our reality. 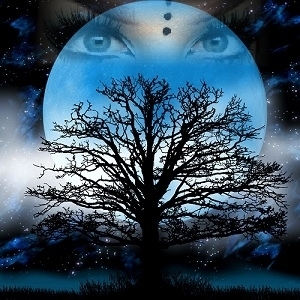 Mystics say the Realm can be accessed through the subconscious mind or by phenomena such as magic mist, erratic changes in the weather, or the appearance of ghostly beings or unusual animals. He is a dreamer, a man who lives in another world. In his world, all things are possible. His name is Nikola Tesla, an inventor, scientist, and genius. His invention of the Tesla coil was instrumental in the development of alternating current, an electric power source used in nearly every home and business throughout the world. In 1901, Tesla began construction of a giant wireless transmission tower, capable of transmitting messages, telephony, and facsimile images across the Atlantic to England. But before he could finish the tower, his financial support vanished leaving him nearly broke and bankrupt. It was during his last years of work at his laboratory in Wardenclyffe, Long Island, when he was desperately in debt, that he went underground to work on a secret project, he felt would change the way people perceived the human mind. It was a scientific theory so futuristic that it remained buried for over a hundred years in a tunnel beneath the Wardenclyffe estate. This is his story, a science fiction fantasy based on the mystery of the Wardenclyffe tunnels.